Recently I manage to get a hold on this game for just USD 5 after discount. A very entertaining shooter with some element of PVE and PVP. Or to better sum it up is like a Tabula Rasa + TF2 + Gears of war. So far I’m only concentrating on one class to prepare it for AVA. So what is Global Agenda is all about? In a few hundred years in the future, a great war happened and make the planet inhabitable (cliche) so that in order to survive, people has to wear enviro suits. From the ashes, rise the Commonwealth who control the world. You are one of the agents liberated by A.R.M from re-education program and brought to a rebel dome city. From there, you learn of the Commonwealth evil and joined A.R.M in the fight against Commonwealth che guevara style. You joined agency which is hired by A.R.M to fight the battle. After all, war is business. The Commonwealth is a tyrant government that mostly employ droids, mecha and agents in order to hunt down the rogue agents. Add to the spice, not only Commonwealth, you also have to deal with other agency rivalry. This brought into view the AVA (Agency vs Agency) persistent battle or clan war. 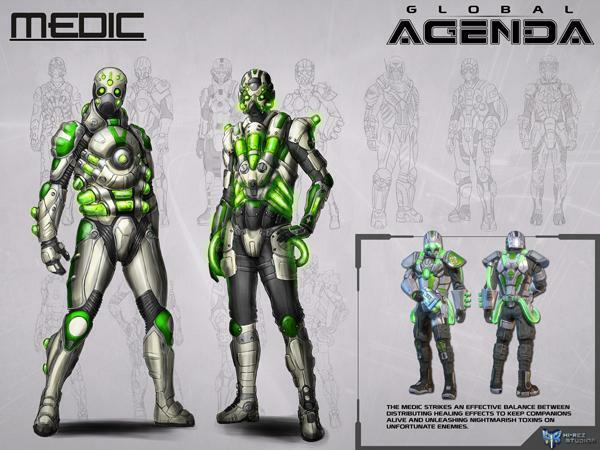 Global Agenda is a shooter game with some element of RPG. However, the RPG content is very limited. By level 19, you ran out of quest to play. But fret not that additional content is in the making. Instead, GA focus more on PVP and co op gameplay. 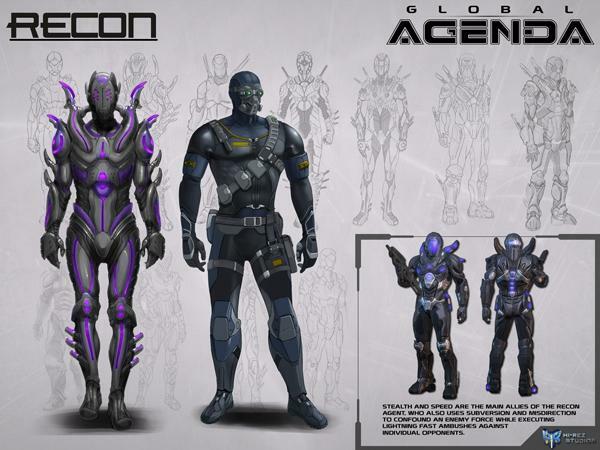 You will have spec ops mission (co op mission) which divided into medium security, high, ultra and double agents. Then you have mercenary PVP mission which more TF2 like such as payload, breach, control. After that you have defense raid which open every 90 minutes. Then Arena battle and lastly is AVA battle. So far I manage to play med,high and merc battle only as the highest current level I got is level 20. And I’m in an agency. The best way to play Global Agenda is to play with friends. Some of the quest can be very difficult to taken alone. In addition, you can create a team and then jump into merc, spec and raid with your friends. An agent can carry 3 weapons which are melee, secondary and specialty. They also carry jetpack, 3 offhand, a booster and a consumable. The offhand is item that usually didn’t consume power such as grenade, overdrive shield, drone and building kit. All the weapons except melee (not the melee blocks) and jetpack consume energy/power. This power gauge will recharge once you stop firing/flying. In a battle, you will always ran out of power and unable to deal damage. You also should avoid fly and shoot. But keep in mind, a robotic can build a power station near you and recharge your power gauge very quickly and allows you to shoot endlessly. As for armor, the stats is actually in a separate armor sphere instead of the suit. You can buy armor sphere and suits or get it from the loot. 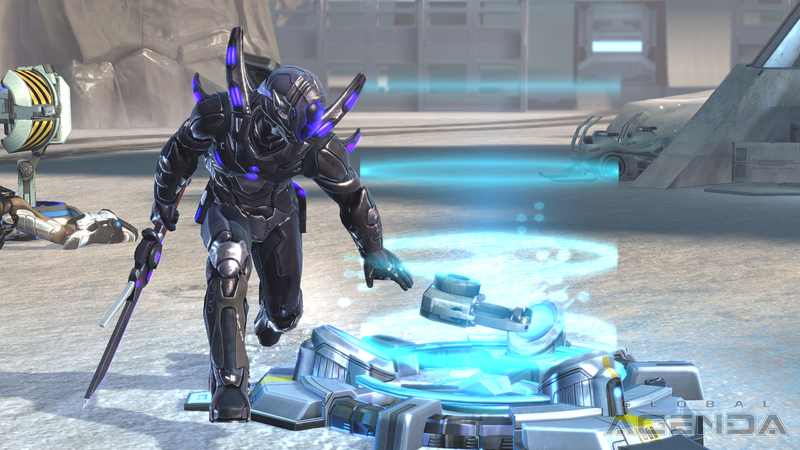 Armor sphere buffs your stats while the suit and helmet affect how you will look like on the battlefield. You also change the colour of your armor by using dyes. You can change primary, secondary and emission (aura or light) colour of your suit and weapons. Fancy a red armor with orange color light? GA at the moment has 4 class to choose from. 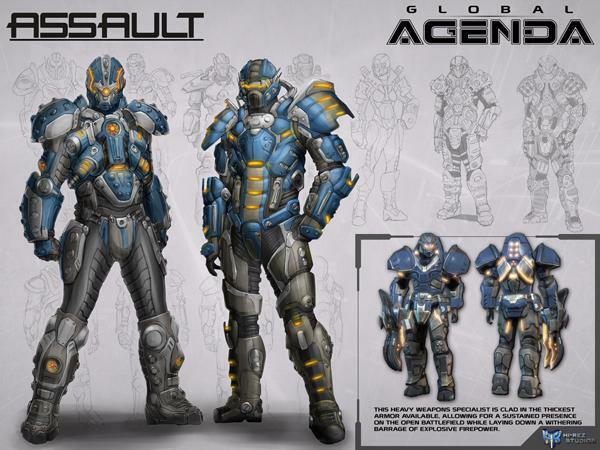 Assault, Medic, Robotics and Recon. Heavily armored and toting a minigun or launcher (rocket or grenade) , this TF2 heavy + demo + soldier equivalent can absorbed a lot of damage. With its limited overdrive ability, it can turn immune to ranged damage and also deal a lot of damage in the meantime. 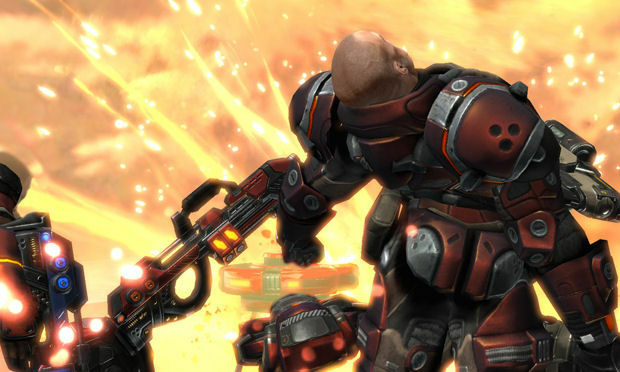 A tanker, assault can stand unperturbed on control point and become a towering minigun juggernaut. They also lead an attack into the enemy base. However, assault need a support of medic to be truly effective or it become just an armor husk in no time. Medic is the lifeline of a team. Able to heal using heal gun, heal grenade and wave, they can cause a battle to be won or lost. Medic is always a primary target during merc as when they go down, another assault or robotic will go down too. Medic also deal a lot of status damage by using poison gun/grenade. They can cause a whole defending enemy team to bleed out quickly. One of my favourite, this 3 arm agent is good at one thing only which is defence and repair. If you see a robotic go into the thick of battle, well that is one big noob. 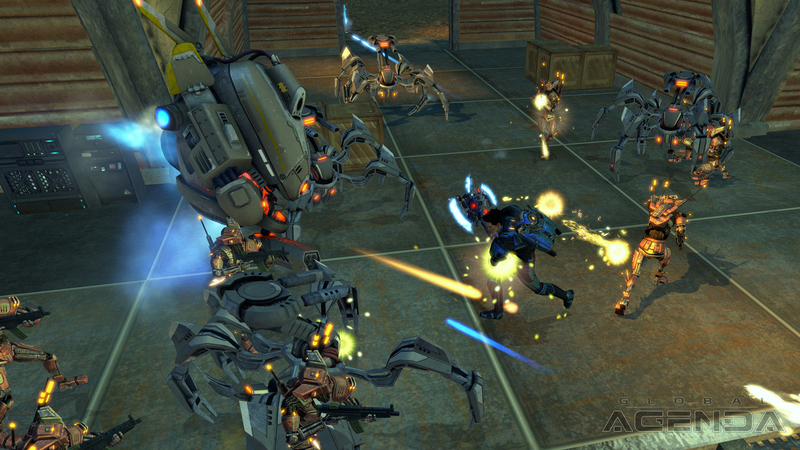 Robotic usually fight at the rear line and defending a control point or route. They can deploy heal station, power station, turrets, force field and drones. Typical setup is usually combination of turret, power and heal. The turret can deal heavy damage to unsuspecting enemy in just a few burst of fire. Add another 1 and a control point can be inaccessible without heavy losses. 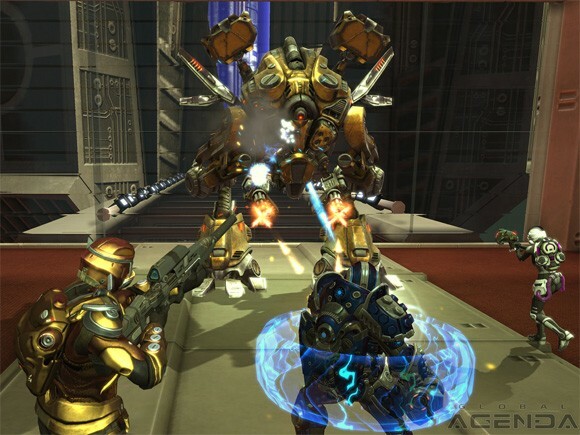 The only bane of robotic is sniper recon which can take out the turret and the robo at long range. Master of stealth and long range, the recon can move very fast and found all over the place. 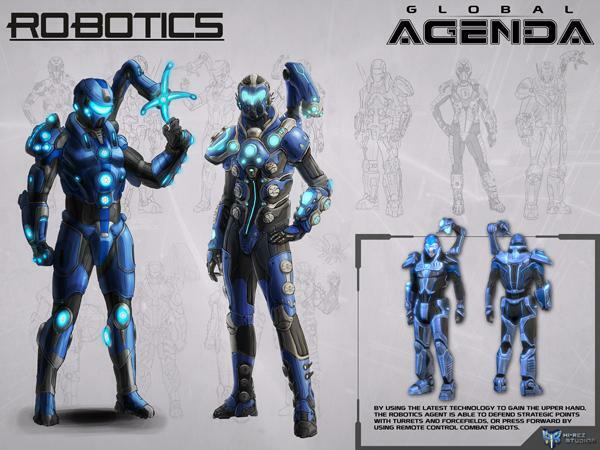 Their mission is to take out robotic, beacon and lone enemy. Recon also always used to counter another recon and healer. Fast but fragile, there are 2 common configuration for recon. 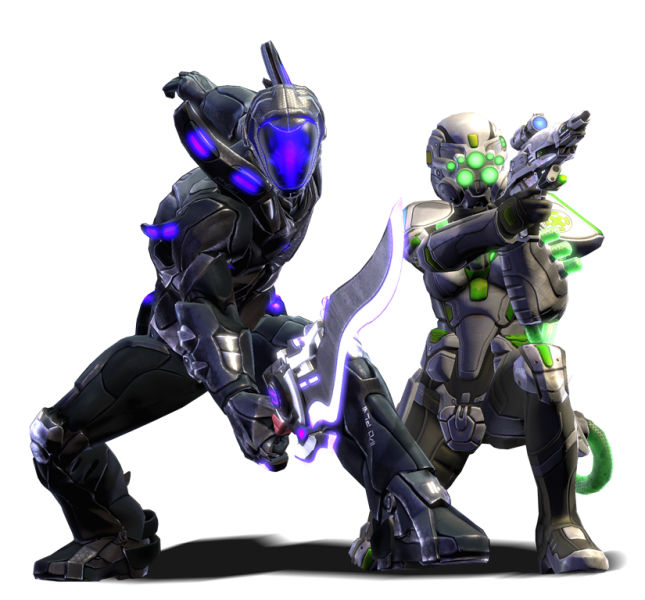 The first one is sniper rifle toting recon and the other one is melee recon which is used to take out a lone enemy very quickly. 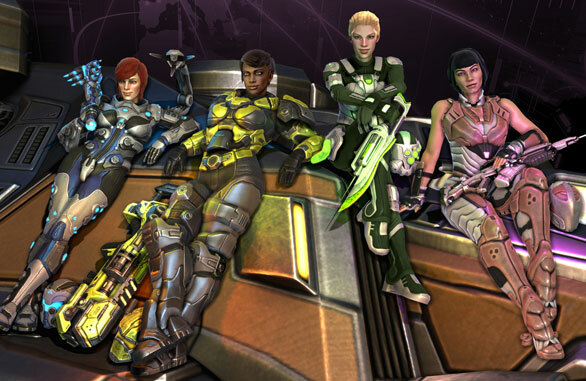 Recon didn’t usually involved in taking control of contested control point as they died easily. 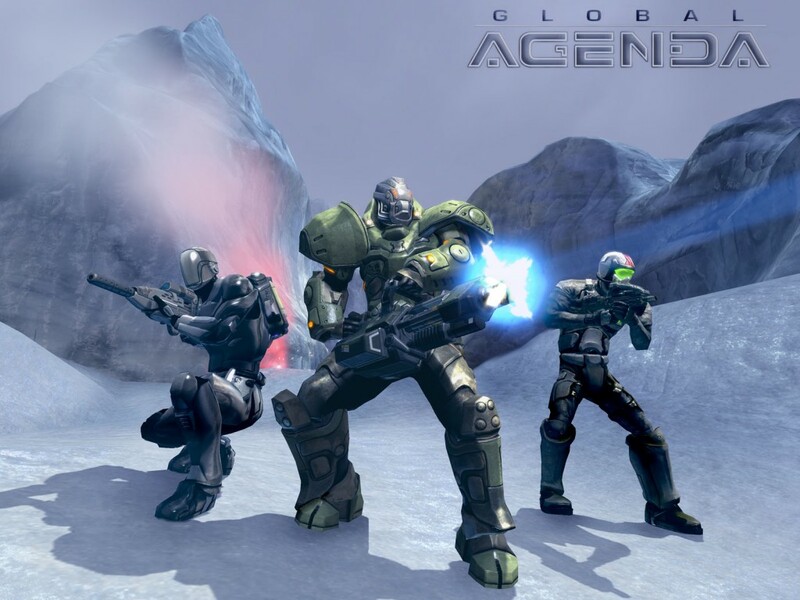 So if you’re interested in playing Global Agenda, you can get it at the official website store. You also are welcomed to leave your discount code in the comments so that other users can enjoyed Global Agenda too.